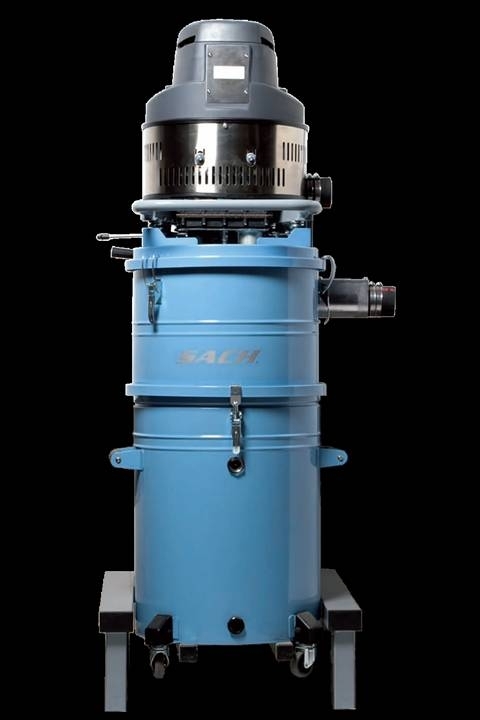 The extensive experience gained over 20 years together with the commitment to our customers the perfect central vacuum solution has allowed us not just to develop large-scale central vacuum projects for the commercial sector but also to provide the all-round technical support which such projects require. The hose handle, with the appropriate cleaning tool attached, receives a low-voltage signal from the central vacuum unit through the wall or floor valve to which it is connected, enabling the operator to start cleaning. 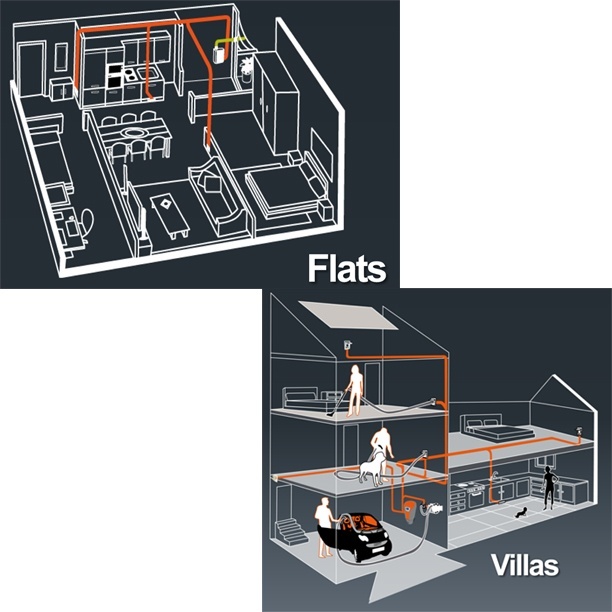 Air and dirt travels through the network of PVC ducting (available in different dimensions) to the central vacuum unit, which will be located away from habitable areas in a room specifically prepared for it (below-level machine room etc.) Dirt and dust are filtered out from the air by the central vacuum unit. 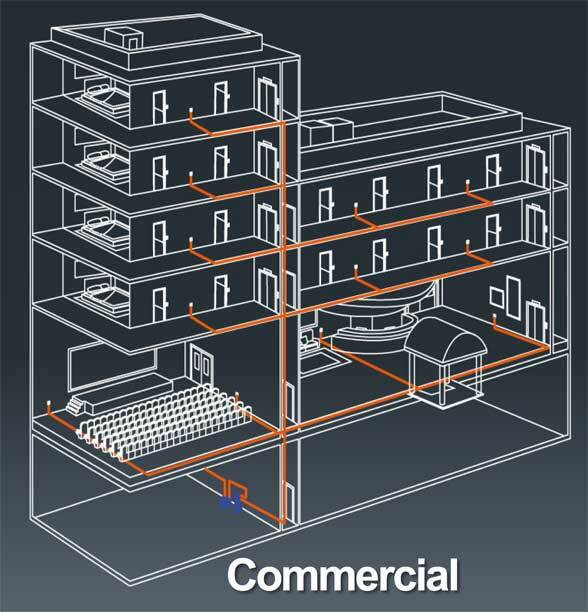 The central vacuum system required to serve the building is determined by the total surface area to be cleaned, the network of pipes requried to serve the most distant inlet valves and the number of simultaneous operators which are envisaged; these factors will determine what diameter of PVC pipe will be required for the ducting network. Intelligent professional planning is critical to ensure that the system operates with maximum effectiveness, thereby guaranteeing ultimate customer satisfaction. Planning of the central vacuum system should follow the plans for the construction / renovation of the building, with its installation commencing during the phase of construction of partition walls. Our technical department is committed to seeking a comprehensive solution to suit your own personal requirements which guarantees the best possible integration of the system into the building, taking into consideration all other service requirements.